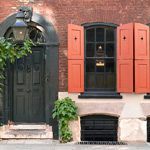 Dennis Severs House is an 18th Century time capsule in the heart of Spitalfields. Do you work at Dennis Severs House? Ticket prices vary, please contact the venue for more details. What did you think of Dennis Severs House?